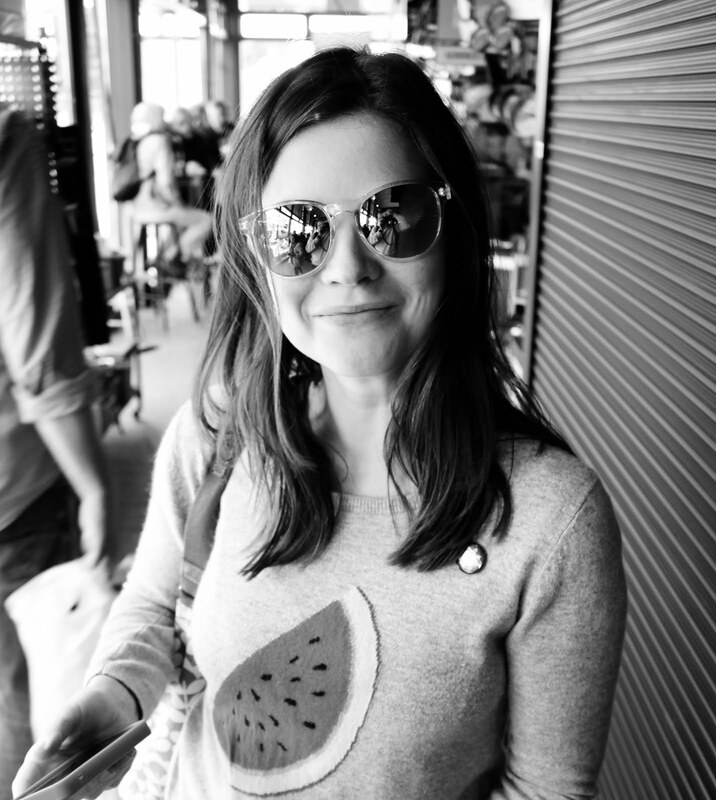 Sipping green juice, running off all that festive food, swapping prosecco for an 'invigorating' sparkling water... January can be a total basic b. We need all the help we can get to make this month brilliant and I* think I've found the perfect way to kickstart the day. *I actually mean my mumsy, from whom I have shamelessly stolen this recipe. 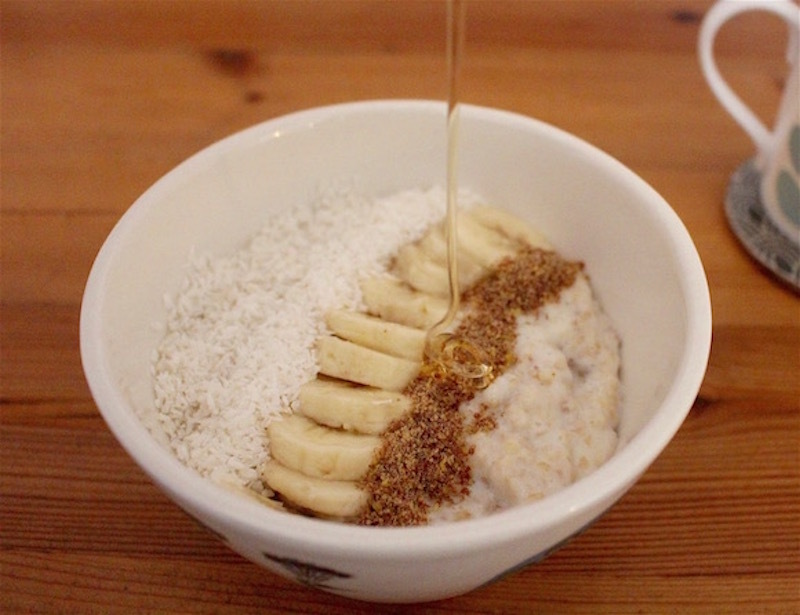 We've been munching warming, nourishing porridge on these chilly winter mornings and ooooosh, does it taste good. Normally I spoon a load of jam on my porridge and have done with it. Ok, jam and milk. Ok, jam and cream. But when Mumma whipped up this incredible breakfast I was converted. 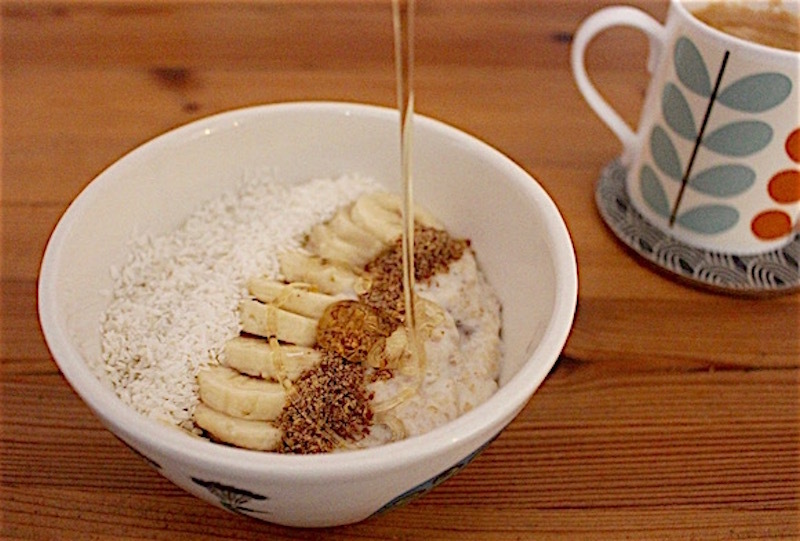 Say hello to the Best Ever Porridge recipe. Spiced with ginger, boosted with banana and revved up with desiccated coconut, it's a super tasty way to start your day and considerably better for you than consuming all dem jam sugars for breakfast. Make your porridge according to pack instructions. I tend to mix 40g oats with 300g milk in a saucepan and warm them together on a low heat. Meanwhile, finely chop the ginger. Chop half your banana and slice the other half. Here comes the tricky part. No, I'm joking! 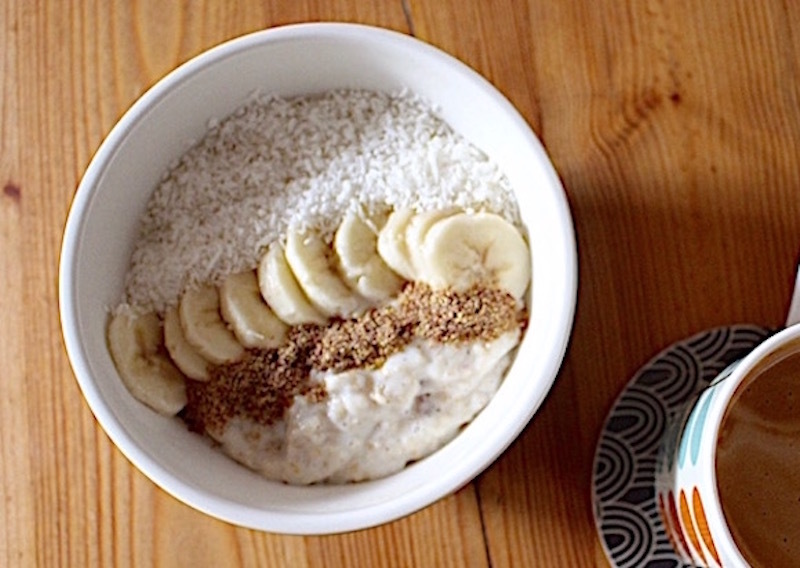 When your porridge is juuuuust right, stir in the chopped banana and ginger and serve. Finally, sprinkle on some desiccated coconut and top with the sliced banana to decorate. I like to spoon on some milled flaxseed for added crunch, too. 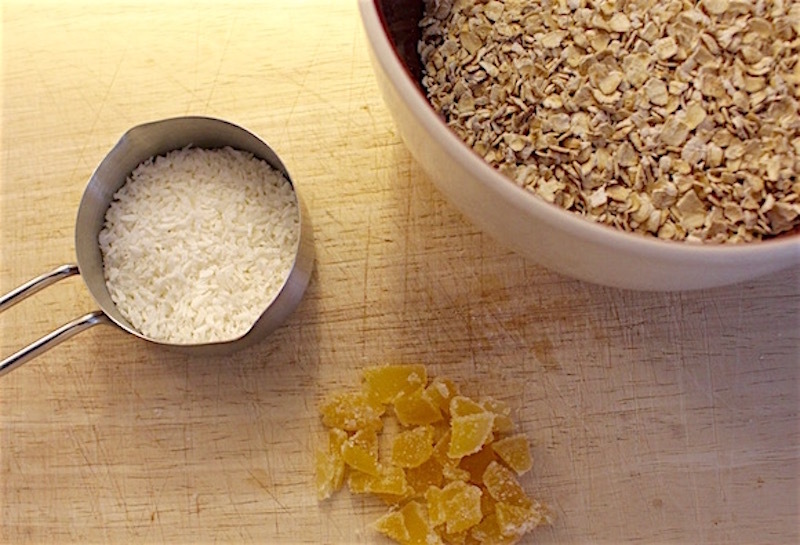 Add a squeeze of runny honey if you want, but taste it first because you might find there's enough sweetness from the ginger. Fancy something lighter for breakfast? Check out my diary-free smoothie recipes.